Almost every nation will have a story, a turning point where they began excelling in a sport after a long spate of failures. Some of them go on to dominate forever, while some others enjoy a short period of glory, after which they fall prey to failures again, waiting for another crest. And meanwhile, the sport in question may go on to become the most enjoyed and revered sport in the nation as well. Prior to 1983, Hockey was probably the only sport that was consistent in providing India with laurels and a revered place in the World Map. Though it was largely due to singlehanded efforts of certain individuals like Dhyan Chand, it was the success that mattered. Which was the same reason why Cricket was not popular in the country those days. Despite having a few big names to play for the country, India still lagged behind in cricket, for a major part in the 20th century. This is where our "turning-point" comes into play. Whatever India were in the cricketing world were all taken for a toss, as were the rest of the world, as for the first time ever, India became World Champions. 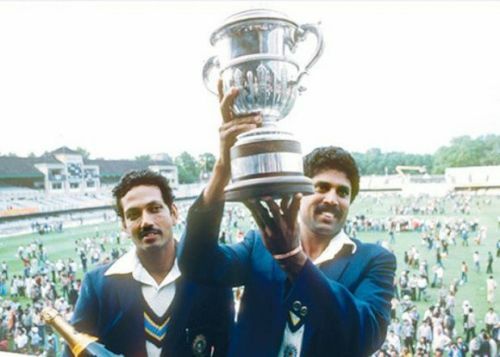 This was in the summer of 1983, and to be exact, we celebrate the 35th anniversary of India's first ever global win in the sport, on this very day - 25th June. While we're at it, let us take a look into the glorious path that the "Kapil's Devils" trodded, straight into the hearts of a few million Indians, and into the pages of an equal number of history books.